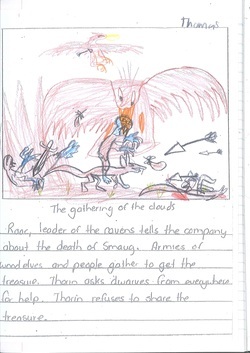 Roac, leader of the ravens tells the company about the death of Smaug. Armies of wood elves and people gather to get the treasure. Thorin asks dwarves from everywhere for help. Thorin refuses to share the treasure. 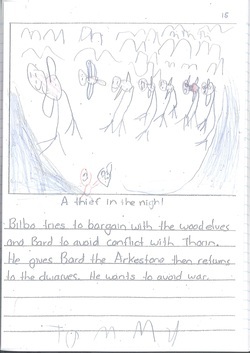 Bilbo tries to bargain with the wood elves and Bard to avoid conflict with Thorin. He gives Bard the Arkenstone then returns to the dwarves. He wants to avoid war.